Watched this play on saturday. All the actors are IITD students, 3 of them being the alumni. 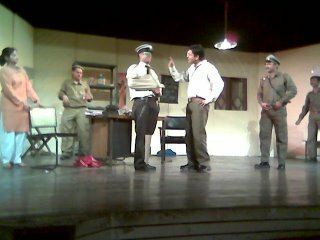 I have seen this play being performed twice during the college days, once as my hostel's entry in the interhostel competition and once as IITD entry in rendezvous. Pankaj had performed the lead role in those 2 performaces as well. However, it was the first time I saw this play being performed commercially (for that matter, I haven't seen any commercial plays with all IITD actors, I wonder if there are many such plays). The performance was at a different level altogether this time around. The amount of effort that went into this was clearly visible and this hilarious satirical play had all the audience laughing their bellies out. 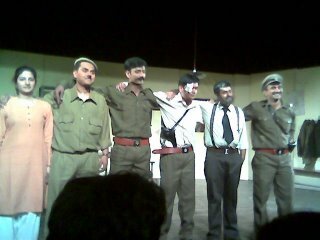 Congratulations to the whole crew for a commendable performance and I hope that you people do more plays in future. P.S. Photography was not allowed during the show, but I hope no one minds these 2 photographs as my mobile camera didn't have flash/sound. Guys this is official. Now that Govinda is into politics, David decided to be the hero himself ;-). 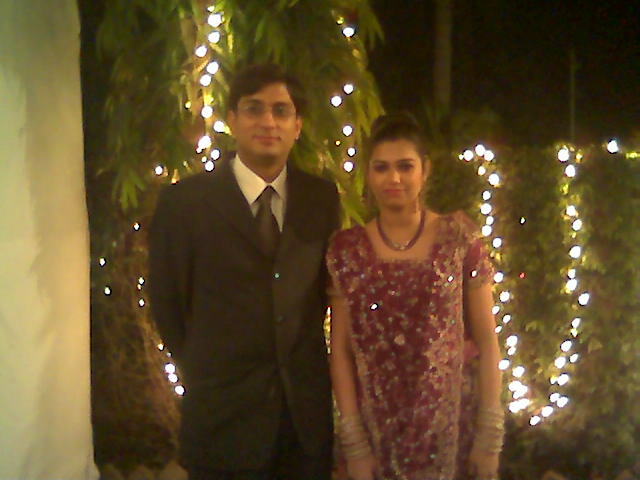 "Dha wan and only one" is now "Jodi No. 1". Congrats to Anuj and Riha on their engagement. Update 20/3/06 : Added another picture courtesy David. Me, Nagar and Singla with the couple. 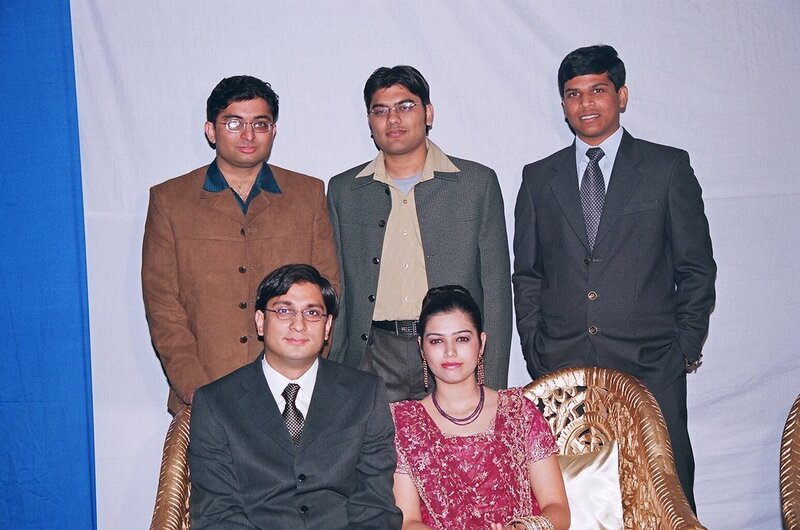 PS: I hope Anuj will now have better pictures to put on his blog.